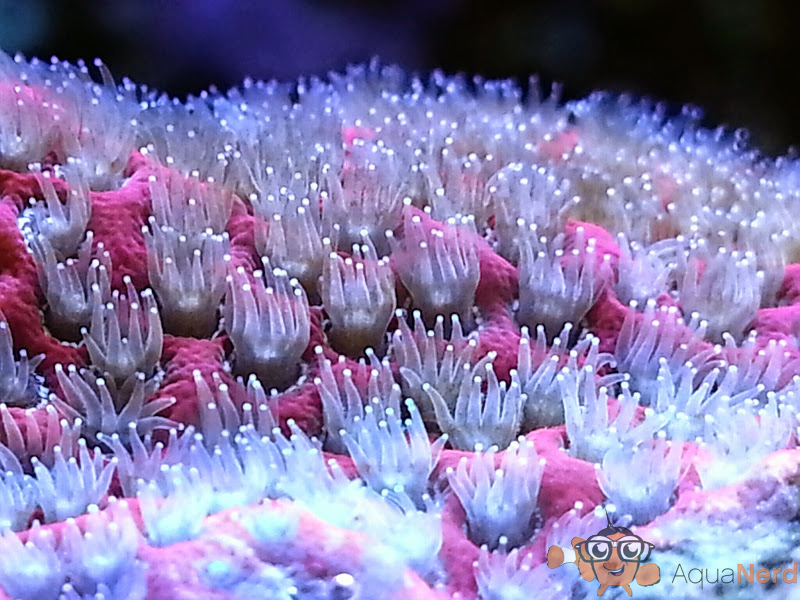 Do you have a Holy Grail coral? AKA, a nub of something exotic that you have to have? Well, I can tell you that I have plenty of those on my wish list. 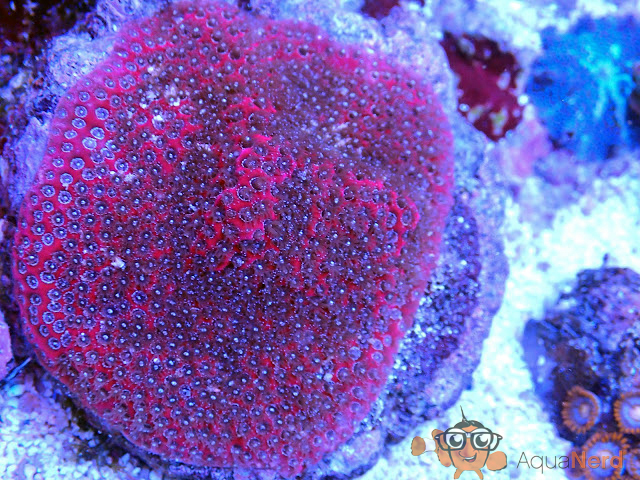 Sometimes I actually get a chance to acquire that Holy Grail coral at a price that I am willing to pay. The Darth Maul Porites (po-rite-ees) is one such coral for me. 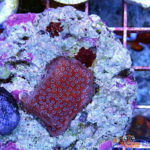 While browsing forums, I came across a lovely ruby colored SPS that was called the Darth Maul Porites. Hobbyists were trying different lighting intensities and spectrums in an effort to get their frags to maintain the jewel tone that it is known for. 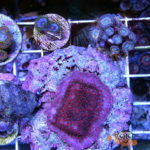 We see many green and blue corals in the hobby, but a red, pink, yellow or orange coral is hard to come by. Porites spp. 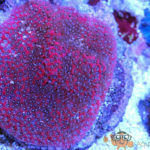 is a small polyped stony coral (SPS) that is often called the jeweled finger. It mostly grows as an encrusting species and can grow into massive mounds in the wild. 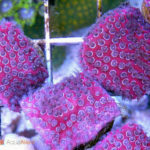 It appears fuzzy when the polyps are extended and is easy to care for as it is hardy. 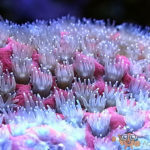 It is one of the most abundant reef-building corals found in the oceans with vast expanses of coral reef built entirely of this species. The most common color is a tan, yellow or green but it does come in the occasional rare colors like the Darth Maul. Some folks were willing to part with a frag or a nub for several hundred dollars. I didn’t purchase at the time because the mother colonies weren’t really colonies yet. Fragging a coral causes it trauma. It is an animal that has been rudely dismembered and needs time to heal and begin to grow again. 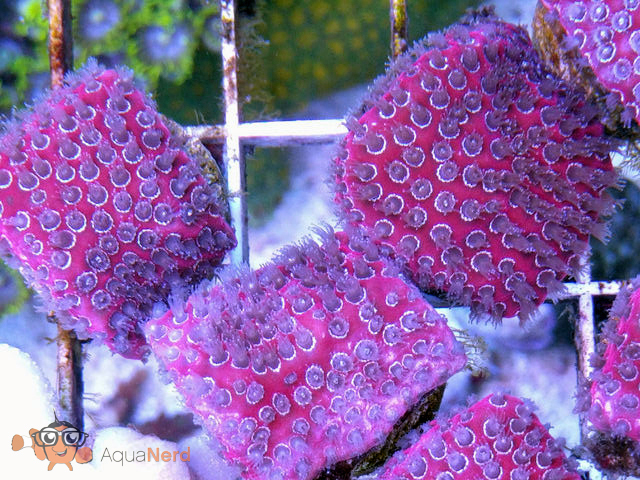 The time that is needed is different for each coral and even species of the same coral can take different times to recover depending on the conditions the frag is placed in. 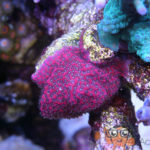 I am of the opinion that fragging a frag or a mini colony leads to a longer dormant period in a coral. I was able to get my hands on the Darth Maul about 2 years ago. 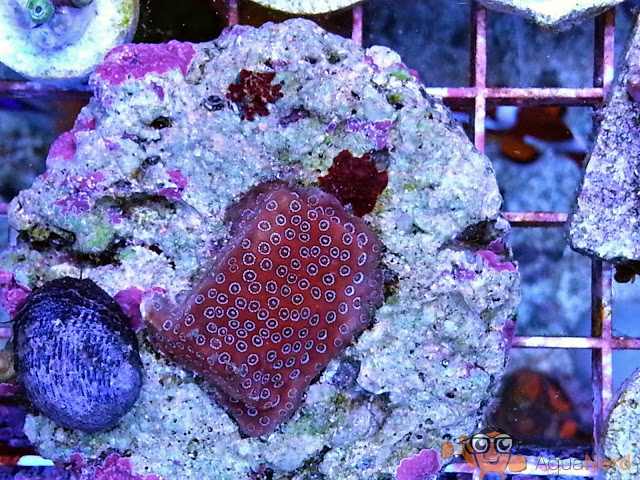 It was a one inch frag growing nicely on a 3 inch mari-cultured disk. It might have been serendipitous that I received it encrusted on the large coral disk because it prevented me from being able to mount it on my rock-work. As a result the coral lay on the sand-bed for over a year. 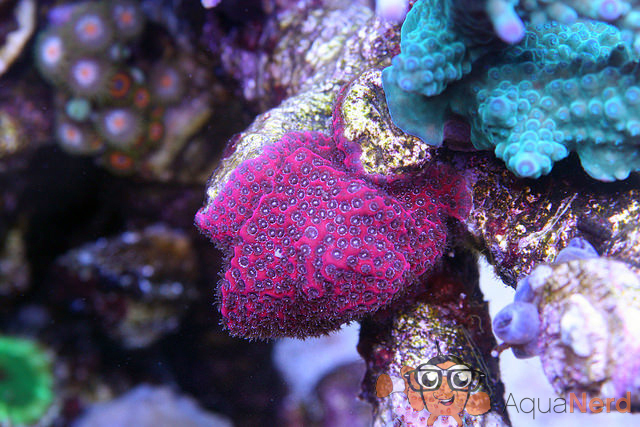 The color never changed, it stayed the pretty ruby pink that is quite unique in the hobby. It grew nicely from the one inch frag to cover the entire disc. Even so, it was impossible to mount and even more impossible to frag. After searching for a while, I was able to gain access to a wet saw and fragged the disk into a few pieces. These were put on frag plugs and continued to grow for me. I sold a few, traded a bunch and still keep several grow out frags in addition to a nice piece that is encrusting on my rock-work. 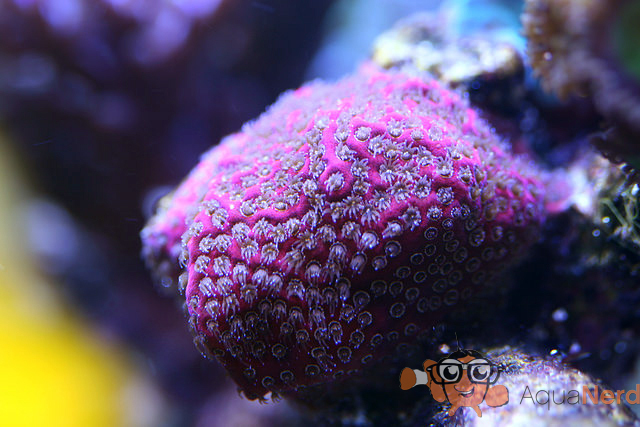 I think this coral is quite hardy, I’ve described it as bullet proof also. I am not sure why folks had a rough time getting it to keep it’s color. I found that it did well at different light levels in my tank and it likes nutrient rich water. One coral off my list of must-haves, many more to go. What is on your wish list?